Devgems Data Modeler is the ultimate tool for modeling databases with an easy and simple interface. It provides powerful features you need, such as diagramming, reverse engineering, SQL script generation and version control. 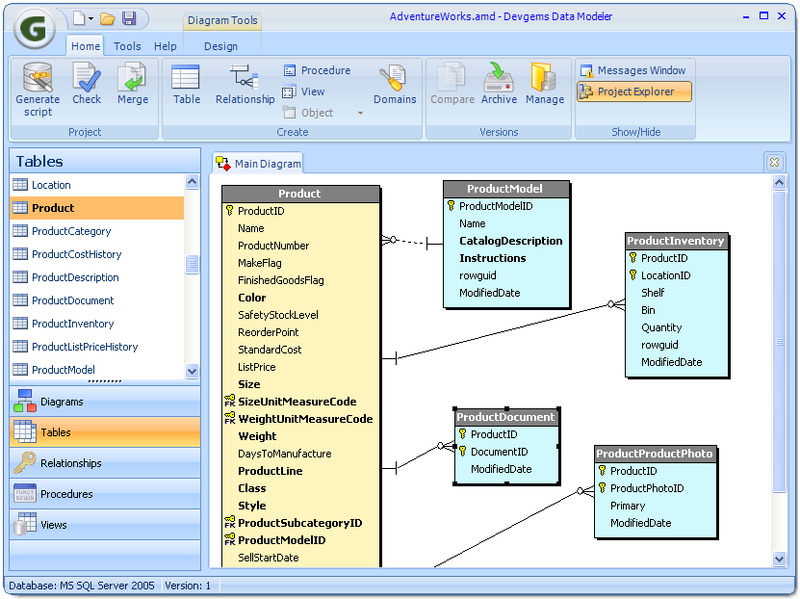 Devgems Data Modeler is the ultimate tool for modeling databases with an easy and simple interface. It provides powerful features you need, such as diagramming, reverse engineering, SQL script generation and version control. It keeps track of your changes and generates SQL scripts to update your database according to them. It has smooth integration with development tools like Delphi and C++Builder. And all of these features are accessible through a very pleasant user interface. - Convert model to a different database system.